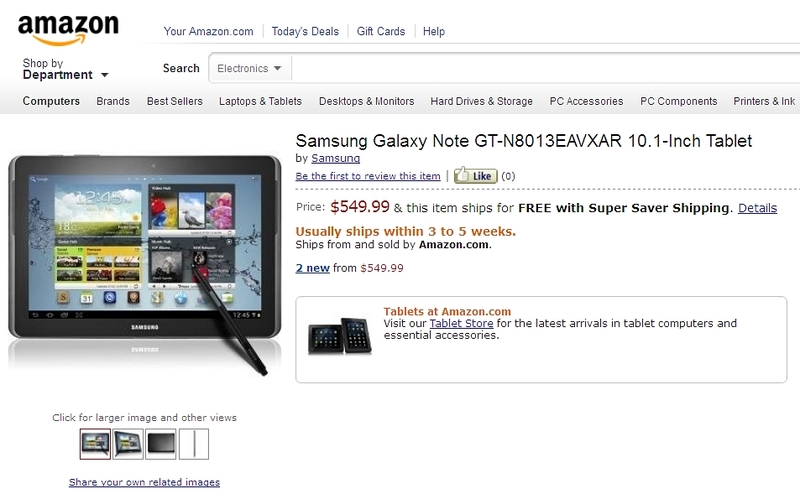 Update: Shortly after publishing this article, Samsung reached out to us and explained that Amazon had indeed made a mistake in publishing the listing and that the Galaxy Note 10.1 is currently unavailable for pre-ordering. Furthermore, the information on the pre-order page was apparently not entirely accurate and we'll have to wait a bit before hearing about the final details, timing and pricing info. 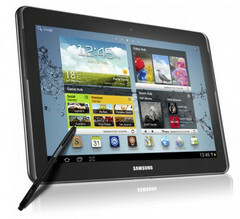 Samsung’s Galaxy Note 10.1 first appeared back at the Mobile World Congress in Barcelona, but mum has been the word from Samsung ever since. Thankfully, the gag order appears to be slowly unraveling, with thanks going to Amazon and a loose hand. According to Phone Arena, a pre-order page for the 10.1” hybrid smartphone/tablet showed up on Amazon US earlier today with a $549.99 price tag and a 3-5 week shipping date. Unfortunately, the listing appears to have been premature, as it has since been removed by Amazon and we’re unsure if any pre-orders made their way through. While then now-defunct order page may not have lasted long, it managed to provide some pertinent hardware info, and we now know that the Note 10.1 will be packing a quad-core Exynos processor to go along with its S-Pen, 32GB storage and Android 4.0. Furthermore, the $549 price tag isn’t too steep for a 10.1” tablet, and hopefully the recent listing means Samsung will be taking orders soon.